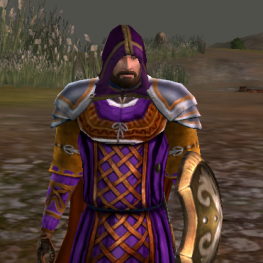 Dr. Corey Olsen’s first LOTRO character is Wigend, the mighty guardian, who has wandered through much of Middle-earth, but has not yet crossed into the land of the horse lords of Rohan. If we reach our goal amount ($5,000) during the Gryfflet marathon on October 1, Dr. Olsen will hold a special marathon session with Wigend, in which he will finally cross into the Eastemnet and attempt to get his war-steed – a situation that promises to offer laughter, crying, and plenty of fun for all! To help make this event happen, donate here.